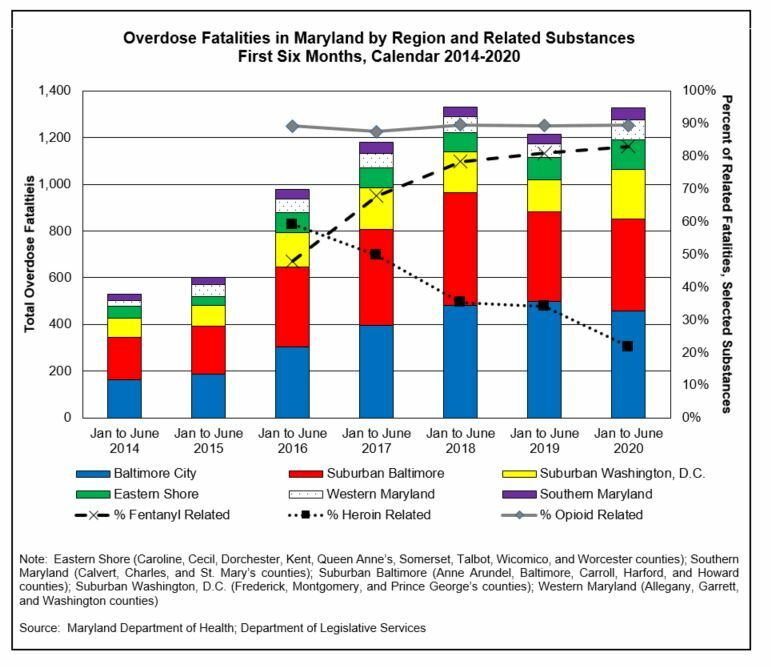 Opioid use and overdose is a public health epidemic in Maryland. Almost 90% of drug and alcohol-related intoxication deaths are opioid-related, including heroin, prescription opioids, and nonpharmaceutical fentanyl. Overdose deaths involving fentanyl continue to increase at an alarming pace.